This article analyses Klaipeda city residential districts of green area. Also is evaluated the condition of plantings and the most widespread trees and flowers are discussed, which grow in residential districts. Trees and shrubs growing in our cities can enhance the overall appearance, provide environmental benefits and increase the value of the property. In residential areas conditions for plants are more favorable than those in industrial areas and main streets. More than 400 species and cultivars of shrubs belonging to 91 genera are recommended for growing in residential areas of cities. Demidov A.S, Potapova S. A.
Botanical gardens in Russia take part in the solution of the problem how to make urban district environment more attractive. After testing many species and varieties in culture they recommend some of them for greenery of cities and towns. Their main aim is to enrich the list of ornamental plants for urban districts. Sprouts are very necessary there, where are intensive and multiple human’s work, particulary in the towns, which make better and keeping cultural landscape quality, and gives for it singularity. Sprouts in the town must be spacing gradually, particulary living territory, that would be easier to reach by foot and transport. Between new block of flats (the South part of Klaipëda), parks, squares are very few, or there aren’t absolutely. Green zone, which is from Smiltelës street to Statybininkø pr., it is necessary to rehabilitate. It is between block of flats, item schools and kinder gardens, so it is very importance for humans rest and leisure. In this work is dissertated natural Gedminø catchments area environment, rateabled possibility and offer territory’s trims. Formation or redevelopment of urban and suburban areas devoted for residential and other purposes usually involves creation or reworking of infrastructure, creation or adaptation of existing green areas for public recreation. In many cases development of such areas involves objects of cultural heritage. Analysis of interconnection between these objects and areas is crucial for their sustainable development. Historic and present interconnections between residence of former Linkuva manor and surrounding residential and infrastructural areas are analyzed in the article. Human in city environment is variously affected by natural and artificially created landscape values. City residential area park planning is complicated multiplan process. Long environmental observation lets us state, that of late years most of Lithuanian cities environmental quality, not even didn’t got better, but it also has lost important quality components, reduced cities space, recreation potential and it’s aesthetic attractiveness. With this research authors analyze cities residential area park planning method peculiarity, giving specific suggestions, how to improve recreation environmental formative task using new methodical mean complex. Proposers are prepared by long experience in recreation territories and parks planning experience and such park planning in foreign counties experience. The article presents cities residential area parks planning methodic topic problem and offers solutions, which might be meaningful pursuing Lithuanian cities public spaces and recreation environmental planning task. 50 taxa of the fungal disease agents found on woody plants: Acer platanoides, A. tataricum, Aesculus hippocastanum, Berberis vulgaris, Populus nigra, Syringa vulgaris, Fraxinus excelsior, Caragana arborescens – the most widely grown in communal yards. Leaves of trees have been mostly affected with Diplodina, Gymnosporangium, Microsphaera, Passalora, Uncinula genus fungi and insects. Woody greenery, especially growing near hostels, is damaged due to irresponable human activity. In this article You'll find analysis on landscape influence for housing value in Klaipeda region. There were analysed 9 settlements of Klaipeda region and it was founded, that the biggest influence on real–estate prices make: beauty of landscape; infrastructure development; transport system; close distance to objects of public–welfare (schools, libraries, hospitals, etc.). Inquiry on prices of land–plots proved, that most expensive real–estate are in "Pajûris town", "Romai", "Karklë" villages. That's happened, because these settlements are located most closely to the Baltic Sea and there are developed infrastructure, green environment as well. In 2005 – 2008 156 parks and squares created in interwar and postwar times in towns and other settlements were explored and evaluated: 30 parks and squares in the west part of Lithuania, 32 – in the south and south west, 55 – in the central and 39 – in the east. Most of the parks and squares (72 parks or 46,2% of all analyzed parks and squares) are of romantic or English style, 57 (36,5%) – of mixed style and 27 (17,3%) – of geometric or French style. 285 species and cultivars of introduced woody plants are registered (86 are Pinophyta, 199 are Magnoliophyta) which belong to 35 families and 80 genera (Pinophyta – 3 families and 10 genera, Magnoliophyta – 32 and 70). It is established that there is a lack of interdisciplinary approach when parks and squares are renovated and created. Dendrologists, landscape architects and other specialists have to participate in order to create aesthetically attractive and semantically meaningful park or square which also meets ecological, ergonomic, social and economic criterions. The magnolias are trees and scrubs, which can be evergreen or yearly throwing leaf. They can be cultured in parks, private collections. Magnolias are decorative and look good in evergreen leafy and conifer trees and houses background. Near at magnolias is inadvisable to plant other trees and scrubs with surface root system. In open sunny space magnolias bloom more plenty. In Lithuania’s cities residential quarters can be growth those magnolias: japanese magnolia (Magnolia kobus DC. ), her northern variety (M. kobus var. borealis Sarg. ), cucumber magnolia (M. acuminate L.), Lebner magnolia (M. x loebneri Kache), star magnolia (M. stellata (Siebold et Zucc.) Maxim. ), magnolia Soulangeana (M. x soulangeana Soul. – Bod.). The article treats information about the influence of ecological and aesthetical value of the green places in the environmental formation. The choice of the residential place is influenced of more different criteria; the big meaning has nearest environment. The green places are important in the formation of the environment and residential environment; they do the environment healthy and scenic aesthetic. Historical development urban environment in town planning is observed. It is established, that more progressive and favourable for inhabitants are principles, which were put into practice by famous latvian architects G. Kufalts, A. Zeidaks and K. Barons. „Meþaparks” – the oldest residential district of Riga, which was built in 1901 – 1930 years of the 20th century is the greatest example of „garden town” principles implementation in Latvia. K.Baron’s produced method of residential district greening projecting is recomended to use more intensive in the studying process. For rising of landscape quality there is need to educate society by mass media through popularization of „good practise” in landscaping, to turn its attention to negative and positive examples in town building. The article analyzes the problems of the ecoaesthetic state of modern small wooden architecture in the seashore area. The object of the research is the sculptures exposition at the Hill of Witches in Juodkrantë, in the Curonian Spit. The changes of the climate influence various areas of the farm activity. Attempts to create harmonious relations between human being and environment determined the architecture level, which is not described only by its aesthetic features but also by a negative effect of environment. In the chapter of the results discussion wood protection agents with antiseptic and impregnants are offered. Iris species and varieties blossom stage research were done in Botanic Garden of Ðiauliai University in 2007. And these genus plants occurrences were analyzed in parterres in Ðiauliai city public and education institutions. 2 iris species and 20 varieties were investigated in Botanical Garden. Was recorded flowering stage duration, flower units, most flowering flowers on the inflorescence stems at once. In research year first started flowering 'Carlina' variety in 20 of May, the last – 'Royal Touch' in 16 of June. Flowering stage duration of iris species or variety was 5–13 days. The longest flowering duration was 'Kytice' variety – 13 day, and three days shorter – 'Carlina', '50 Let VLKSM', 'Sunset Serenade' varieties. Iris plants were cultivated in 16 Ðiauliai city public parterres and 11 education institution parterres. In parterres most occurrence I. hybrida hort. 'Twice Blessed' and 'Amethyst Flame' varieties. G. Mikluðytë, R. P. Sanderson. Residential landscapes influence the wellbeing of human life; therefore it is important to ensure they are of a high quality. Development of residential landscapes is a direct result of increasing urbanization, which usually has a destructive effect on the natural environment. Sustainable development is development which ‘meets the needs of the present without compromising the ability of future generations to meet their own needs"(Bruntland). It allows improvements in society’s economical and social life aspects ensuring ecological benefits are built into the development. Sustainable development can only happen if there is coherent governmental legislation that shapes all aspects of human actions in order to ensure a holistic result. The successful experience of other countries in shaping and implementing the legislation of sustainable development should be addressed as examples of good practice. In Britain, sustainable development starts with the comprehensive analysis of the particular environment, where all influencing factors are taken into account. This is done to ensure that the best possible decisions in planning are made to comply with sustainability principles. With regards to sustainable development of the living environment, some of the most important information required comes from a broader area analysis e. g. landscape character assessment (LCA), clear biodiversity action plan (BAP) targets etc. Findings of such information can influence the whole design process, affecting the overall master planning, architectural and engineering proposals. In order to ensure that designers and developers seek to employ best principles of sustainable development, – measuring systems, such as BREEAM (Building Research Establishment Environmental Assessment Method, GB) can be used in order to assess the viability of residential developments. Sustainable residential landscape is an important element within the whole residential development. Well designed planting schemes and hard surfaces, can contribute to the energy savings. Transport CO2 emissions can be reduced through appropriate provisions and good design of pedestrian and cyclist infrastructures. Sustainable building and planting materials specifications also play an important part when planning sustainable development. However development itself can little influence the sustainability of building materials other then create a demand for them. Government legislation plays an important part together with suppliers that are prepared to meet that demand. Sustainable residential landscapes should be integral parts of the wider landscape insuring effective linkages of ecosystems, green corridors, sustainable transport structures etc. One of sustainability objectives is to sustain and support the natural environment alongside human activities and to ensure sustainable post – implementation performance which is particularly relevant to planting. Levels of maintenance are determined during the design process, therefore it is important to program suitable management processes at this stage, so that a residential landscape is robust and stands the test of time. Design with water in residential landscapes plays an important role when delivering sustainability. In a time of unpredictable climate change, practically tested and often aesthetically pleasing Sustainable Urban Drainage Systems (SUDS) should form an integrated element of every sustainable residential development. The landscape we live in should not be assumed to be sustainable just because it looks green. Sustainability can be achieved only through adopting appropriate sustainability principles in design process which also changes our way of life. There are analyzed peculiarities of green places formation in model homesteads in Melnragë. It is a resort settlement in northern part of Klaipëda city. Research was carried out in August 2005 and 2006. It was assessed plant diversity, ecoaesthetic state of environment and other. According to the research data the different style of green places formation were established: in some homesteads – formal style, in other – architectural style, ect. Different diversity of decorative plant species and varieties were identified. There are analyzed peculiarities of green places formation in surroundings of block of flats in some town of Southern Sweden: Karlskrona, Ronneby, Karlshamn (in Blekinge) and Kristianstad (in Skåne). Blekinge is located on the south–east corner of Sweden, all its towns are coastal towns. The town of Karlskrona with its unique 300 year–old naval base has been placed on the UNESCO World Heritage list. The town’s main square is on the highest point on Trossö – the largest original island. There are built a monument for King Karl XI in this square. Green–areas in the territories of block of flats, that are built more than ten years ago, are predominated by the leafy trees, as Crataegus monogyna Jacq., Syringa vulgaris L., Malus baccata (L.) Moench. and other species. In the territories of block of flats, built at present time, there are identified colourful flowering shrubs, as Spiraea vanhouttei (Briot.) Zabel., Spiraea arguta Zabel., Potentilla fruticosa (L.) O. Schwarcz. and other. Article treats information about recreational environment in the residential area. There has to be system in the green places of recreational environment. Only if there will be system so and environment will be functional and ecology healthy. Formation of urban areas devoted for residential and other purposes usually involves creation or reworking of infrastructure, creation or adaptation of existing green areas for public recreation. The green place in recreational environment is significant for leisure, men health and other needs. For this reason it has to satisfy the requirements. Plants have an important influence on urban spatial structure and the target. They improve the sanitary – hygiene and microclimatic conditions and the formation of the modern urban landscape. Klaipeda complex system of plants scheme was developed in order to maintain and highlight the landscape features, rational use of natural conditions and to create a single, uniform, city–wide system of plants, with the combined plants suburban area. However, the plants have a negative impact on allergy sufferers, health, well–being or even the quality of life. Considered here are the ecological conditions for plantings of perennials at foundations of multistory buildings. The results observed in the Botanical garden of Latvia and other places on possibilities of garden use of perennials in such environment are dealt with 59 various taxa have been singled out up to this time that are sustainable to these natural and anthropogenic factors. Some important criteria for composition and recommendations are given for their ecologically based use in this article. 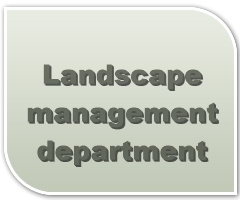 The article deals with Statute of Convention of European Landscape Design the sphere of Education and professional Training. There are analyzed the teaching regulation of persons who are keeping the green plantations and plantings in the Law of Green Plantation of Republic of Lithuania, and local administrations requirements to service provides. The article notes that Lithuania, ratifyring the Convention of Europe Landscape, commits itself to stimulate the interest of specialist training in this sphere, meanwhile the Ministry of Environmental the Republic of Lithuania coordinates informal and formal (workers) training in the sphere of protection of green plantations, their keeping and cultivation of new green areas. Institutions of local administration make demands of personnel of green plantation keeping enterprises. In the article there is discussed the collaboration of Klaipeda Business and Technology College with Labour Market and social partners in the sphere of preparing the specialists of green plantation keeping, and organizing the qualification improvement seminars, in which the lectures of Landscape Design department, students, business representatives and graduates take part. This collaboration is useful for all participants of the process. Two possibilities of path layout in promenades, straight and around are analyzed in this article (Fig. 1). The conclusion was drawn: straight path serves for people in hurry and a path around – for people, who are taking a walk. Newly renovated square of Independence in Rokiðkis is criticized, which has a footpath dividing the space of a promenade lengthwise. Examples from residential areas of Justiniðkës and Fabijoniðkës in Vilnius are analyzed, where straight footpaths are transformed according to the principles: consolidation of space; optimal view angle; comfortable layout of resting–places; possibilities for choosing alternative roots. Axial solution of footpaths intended to pass by, but not to make a stay. Two parallel footpaths with cross paths create a possibility to walk around the space, to see more scenery and experience more impressions. The quality of life of a person much depends upon spiritual as well as the physical satisfaction of social needs. The design tradition of Lithuania’s churches has deep roots that honor this concept. In the past our churches were distinguished by modest, rational proportions and ‘sensitive’ scale within their space. Modern attempts to interpret these traditions with contemporary design have failed, especially where the site is amongst residential buildings. The fascination of Klaipëda's churches that were analyzed is illustrated by results of an opinion poll of young people that shows how things presently are seen and the obstacles to modifying the environment. The article analyzes the major problem Klaipëda’s churches have in achieving a high level of physical and aesthetical quality in residential areas. The article supports the view that public spaces demand a perfection of objective aesthetics, taste and compatibility – achieving rules of harmonious proportions. The effect should be a lasting play of proportions that enhances the living environment rather than clashes with the pattern of life of a neighborhood. The artifacts of the architecture extend the feel of the neighborhood – opens the mind to alternative patterns. The article presents adaptation and use of perennial green plantations as well as medicinal (aromatic) plants in various agrolandscape ecosystems, based on the tendencies of scientific research results and biological methods. Eryngium alpinus plants infected by viruses showed symptoms expressed by irregularly shaped greenish spots. Plants were stunted, leaves slightly distorted. Two viruses of Nepovirus genus, arabis mosaic (ArMV) and tomato ringspot virus (ToRSV) have been isolated from infected eryngo plants and identified by the methods of test–plants, electron microscopy and DAS–ELISA. Plants affected by phytoplasma have symptoms of yellows, stunting, flower distortion and virescence. Phytoplasma of 16SrI–M subgroup was identified basing on 16S rDNA gene sequence using the methods of nested PCR and RFLP. The measures to control viral and phytoplasmal infections are described. The article analyzes the flowerbeds in the central street of Gargþdai city after its reconstruction. Research carried out in early autumn, 2008. Making the reconstruction of streets, forming the flowerbeds there is not refer on researchers. There is a lack of presentable flowerbeds in Gargþdai. And in the existing flowerbeds the assortment of flowers is poor, monotonic; somewhere the colour of focus is picked out tastelessly. The state of horse–chestnuts, introducated and well grown in Lithuania for a long time, is getting worse for the last 3 – 4 years. The aim of this work was to define the causes of this impairment and to discover the means for state improvement. In 2008 after horse–chestnuts, grown in recreational green plantations, state evaluation along Lithuania, Cameraria ohridella – invasive pest spread over all country, was found to be the main agent diminishing the decorativeness. Fungous diseases are less dangerous lately. Mostly effective for restriction of Cameraria ohridella and fungous diseases is fallen leaves excretion. The Department of Floriculture in Botanical Garden of Vilnius University was established in 1992. Its main goals are introduction of herbaceous decorative plants (field flowers), acclimatization and accumulation of plants for collections, their care, conservation and creation of plant expositions. The collections and expositions contain plants of various biological and systematic groups. In the old park of Kairënai and in new places of Department designed and arranged expositions of perennial flowers. The cultivars of Astilbe Buch.–Ham. ex D. Don, Dahlia cultorum Thorsrud et Reisaeter, Gladiolus L. and Paeonia L. are distinguished by different morphological, ornamental and bioecological properties. Planting combination with species of lime fen communities seemed to be suitable for shallow substrate wet roof garden vegetation with the function of a swimming pond filter. The lime fen variant needs to be tested in a higher amount of repetitions. Pilot facilities should be installed to investigate the optimal benefit, precisely compared with cooling roofs (Possmann, 1993). During the trials the cooling effect of perfused roof garden vegetation was pretested and first results were encouraging. Accurate measurements and statistical analyses should help in estimating the practical use of swimming pond filters for roof insulation. The roof planting should also help in cooling the buildings in summer. Considering climate change, the installation of water bodies in urban landscape might contribute to improve life quality as well (Abromas, Grecevicius, Marcius, 2007; Kucinskiene, Malakauskiene 2007). The theoretical background of artistical expression and bioecological criterions for choice the assortment of field flowers for the parterres of areas for residential quarter development. The assortment of field’s flowers for the parterres of areas for city housing development weighted the artistical expressions and bioecological criterions. In article researching how this criterions are distribution in main assortment of ornamental herbaceous plants, whom author are J. Vaidelys. To explore following criterions: the height of plants, the demand to soil and light, the time of flowering, the plenty of bioecological groups of ornamentals herbaceous plants. The article includes Vytautas Magnus University in Kaunas Botanical Garden grown Rosa polyantha morphological varieties of ornamental characteristics, evaluation results, discusses their suitability to grow plants to residential areas. Found that 8 varieties suitable for various types of flowers and destination. The longest life 'Eulalia Berridge' – 142 days and the 'Pink Cascade' – 136 days, at least of life 'Mary' – 84 days. Shrub height and the abundance of flowers inflorescent had 'Perle Angevins' (71,5 ± 3,75 pc.) and the 'Morsjaroos' (56,0 ± 3,32 pc.) and 'Eulalia Berridge' (5,5 ± 0, 95 cm) had a larger flower. The article summarizes the Asiatic hybrids of lilies (Asiatic hybrids) belonging to a group of lilies (Lilium L.) variety trials for introductions. These plants are cultivated in Kaunas Botanical Garden of Vytautas Magnus University. There were made lilies phenologic observations, the morphological assessment of their decorative qualities, resistance to disease, derived varieties. It is recommend reproducing, distributing and cultivating these plants. Flowering time is from June till the first decade of August. Flowering period is 15–25 days. The most important action in the field of protection of recreational environment and reasoned use of recreational sources are to prepare schemes of facilities for recreational areas planned by the National program of tourism development, to take out production objects witch are on riverbanks and lakesides, to sward the banks of water sources witch were made glassless by intensive agrarian activity, to create the scheme of green plantation on the seaside, to implement programs of improvement of banks, the schemes of recreational facilities of beaches and dunes, to prepare the schemes of cognitive tourism to the most picturesque territories, to carry out aesthetical evaluation of Lithuanian landscape, to from recreational facilities according requirements of environmental protection. At present the goal is to from recreational facilities insomuch as not to change as much as possible the natural landscape. The article treats information about necessity of the street greening (especially green hedges). There is analyzed position of the street greening in Klaipëda city and in Briusel city, both cities climate is similar. Planting of green hedges helps for creating clean and not noisy environment comfortable environment for living. The article describes decorative characteristics of trees, shrubs and exterior of plants, their size, structure of the trunk and branches, decorativeness of leaves, blossoms, fruits, so on., longevity and rapidity of their growth. Results of investigation performed on plant species composition’ and state in mixed purpose greeneries of catchments in Kaunas City in 2008 are discussed in the article. It was established that the biggest amount of different species grows in Dainava, Centras and Kalnieèiai catchments. Deciduous trees predominate in the investigated plots. Greeneries in Petraðiûnai and Ðilainiai catchments are characterized by higher amount of coniferous species. The worsening state of woody plants was observed in Petraðiûnai, Þaliakalnis, Panemunë and Vilijampolë catchments. The main signs of worsening of the state – defoliation necrosis mildew.